Print:	Digitally printed on FSC-certified paper with a special letterpress cover. Books are hand-bound with 100% recycled hemp twine in Japanese three-hole binding technique. Packaging: Books come packaged in biodegradable eco-clear pouch made from plants. Taylor Deupree, Jill DuBoff, Marihiko Hara, Marla Hlady, Yan Jun, Gregg Kowalsky, Caro Miklaef & Stephan Mathieu, Jeremy O’Sullivan, Aki Onda, Émilie Payeur & Pierre Paré-Blais, Nicola Ratti, Sawako, Nicholas Szczepanik, Benjamin Tomasi, Rie Yoshihara. 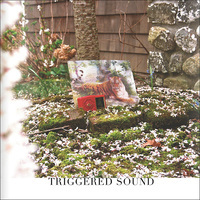 TRIGGERED SOUND is Palaver Press’ first print publication, having originally been established in 2011 to publish sound works. This book is a collection of commissioned photographs taken by sound artists, documenting the various objects in our world that playback pre-recorded sounds at the push of a button or the winding of a gear. Alarms, toys, tape players, megaphones, subway speakers, automated messaging systems, samplers, etc. 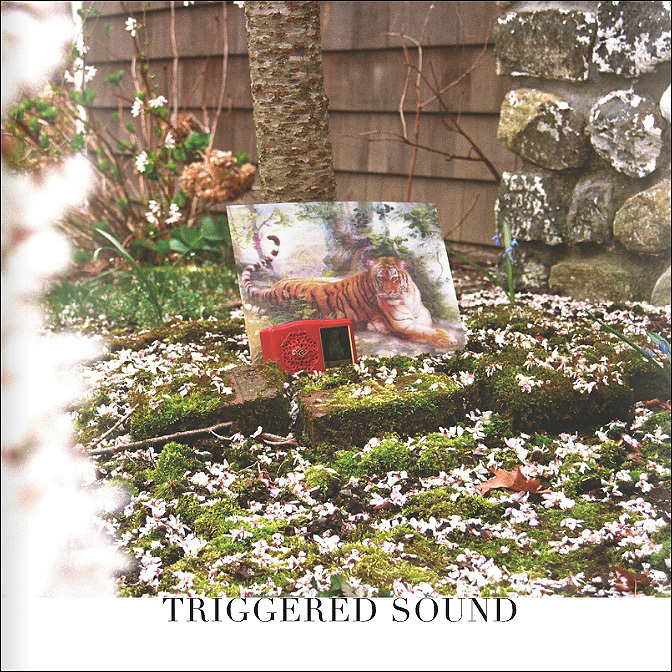 The objects of triggered sound are photographed in environments both familiar and foreign, domestic and subterranean, calling to mind the ways in which we interact with them in our daily lives either by choice or by chance. These visual portraits reflect an intriguing range of silent moments despite the contrasting function of these objects to provide timed passages of recorded audio. In this exhibition, photography is not an end but a means for capturing that silence, as if to suggest a recontextualizing of the audio machine into a purely visual space for engagement. Photography has a way of erasing sound while also suggesting it, provoking our imagination to piece together a narrative. In this age of omnipresent audiovisual media, we need to give ourselves the chance to reflect on the silence that preceeds triggered sound, or in other words, the choice to turn on or off.